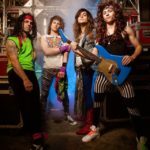 With comments like “it felt like a concert”, “sounds just like the original song” and “the best band I’ve ever seen” its no wonder Crossing Midnight is quickly becoming the most requested band in New York. With high energy, great vocals and musicians, these long time college friends have come together to create music magic. 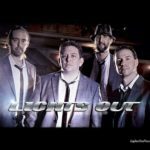 With most musicians in Crossing Midnight able to play 5 or more instruments, they are versatile in many genres of music from Jazz, Rock, Pop, Motown, Disco, Top 40 and more.